The late Father John Hardon said of gentleness, “Gentleness is written on almost every page of the Gospels describing the Savior.” And our Lord Himself is recorded in Scripture as saying, “I am gentle and humble in heart.” And right before He stated He is gentle and humble…He said, “learn from me.” So today, as part of my 31 Days series on Bible Quotes, let’s learn about gentleness as found in the Word of God. 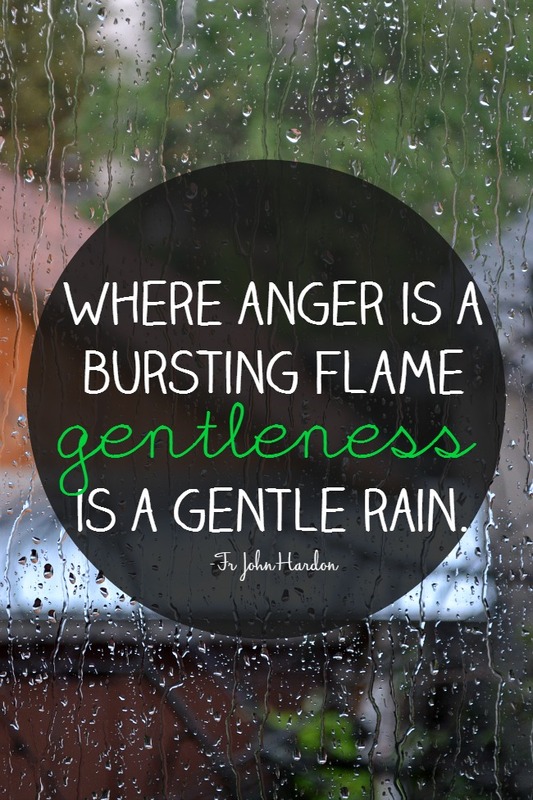 Here is a good explanation of gentleness, “Gentleness, in the Greek, PRAOTES, is commonly known as meekness. The word is best translated ‘meekness’ – not as an indication of weakness- but of power and strength under control. The person who possesses this quality pardons injuries, corrects faults, and rules his own spirit well.” At the part, “…power and strength under control…” that makes me think of yesterday when we talked about patience in the Bible. Where we talked about how patience is something we choose to cultivate and I didn’t mention it then, but I will now. Wouldn’t it just be easier sometimes to just throw a big ‘ol temper tantrum!?! (Or is that just me?) But that wouldn’t be a choice would it, it would be losing control of ourselves…and that would not be gentleness. Next time I can feel irritability, harshness, and anger start to rise, I will make myself pause and remember those two short sentences. (I may even print it off as a pre-emtive) reminder. 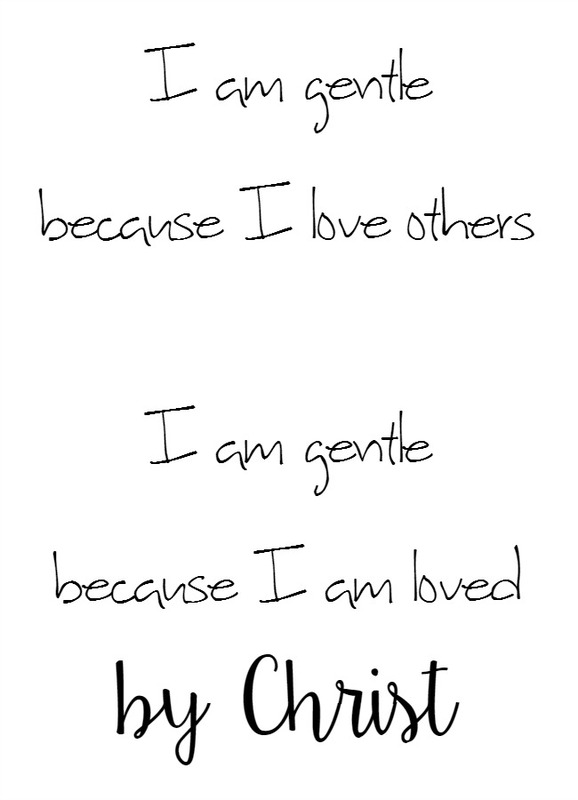 Speaking of printables, I compiled a list of Bible quotes about gentleness for your to print and stick in your Bible. This post is a part of my 31 Days of Bible Quotes series. You can find the rest here, 31 Days. « Bible Quotes: How Does God Feel About Me?